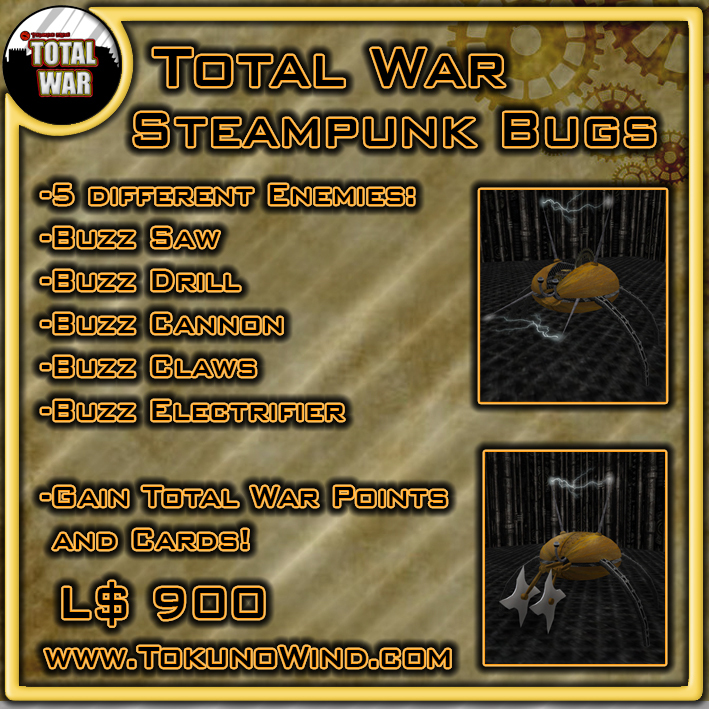 Three different kind of clockwork creatures spawners are now available in Total War Stores, straight from the mechanical Victorian Era! 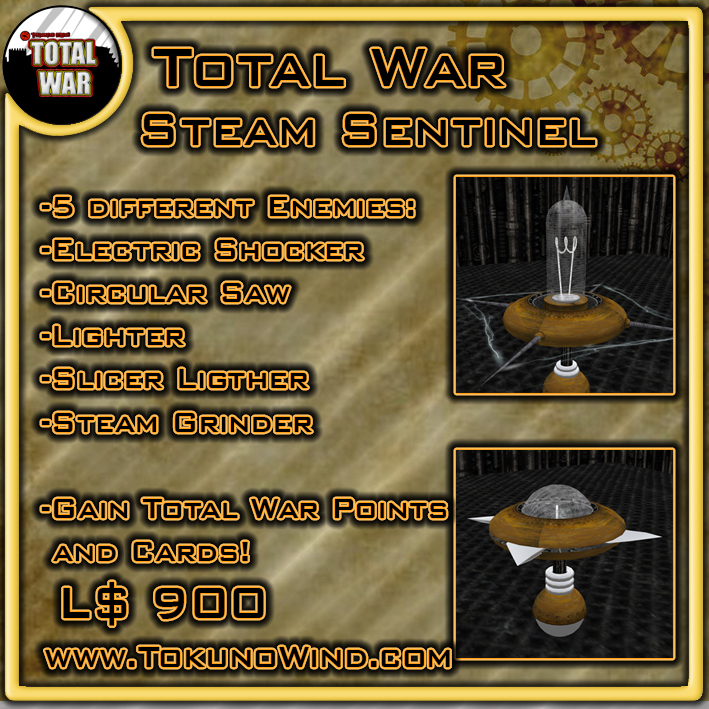 Get your weapons ready and fight against the Mad Doctor's Steam Creatures: Robots, Bugs and Sentinels! 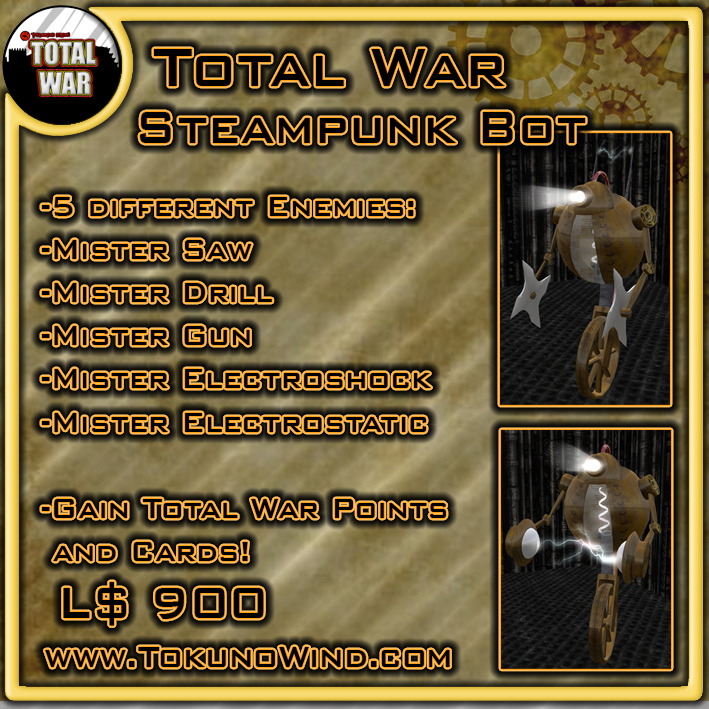 You can also take the chance to visit the new TOKUNO STEAM STORE, with cool accessorizes and vehicles in machanical steampunk style. we need to destroy them all!!! 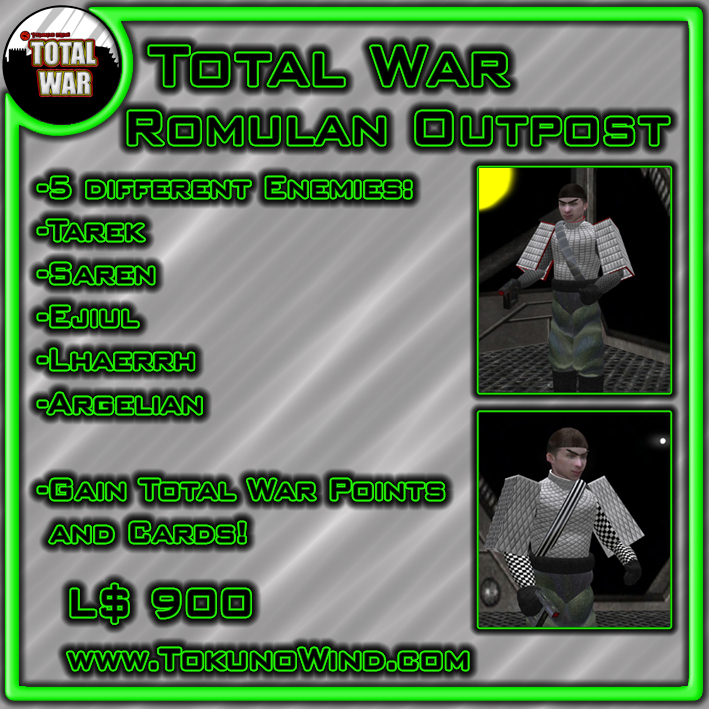 If you want a Total War Borg Spawner for your land visit our Total War Store or check SL Marketplace.